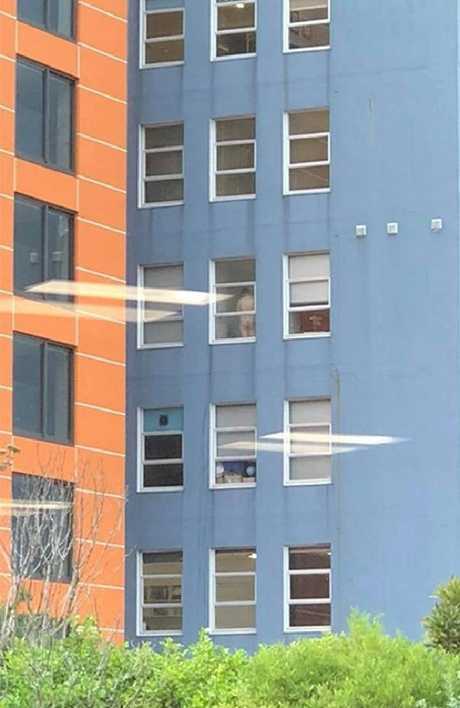 A NAKED New Zealand man has been snapped baring all, unintentionally flashing workers in neighbouring buildings in Wellington. 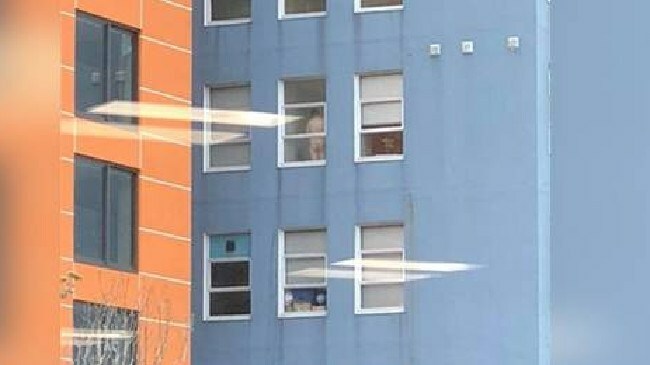 A nearby worker, who wishes to remain anonymous, snapped the unfortunate moment when she was looking out of her office window and saw a naked man baring his bottom in the building. It isn't the first time this has happened, with an anonymous resident revealing the man has bared his full moon far too often. A worker in a nearby building took the snaps. "This has been happening most mornings for a long time. I'm new to this area of my building and it's been a bit of a joke since I started here. But I just don't think the guy realises we can all see. "I've just moved to this area of the building which works at the 'south end'. The irony of it. "It's hilarious, but I just felt bad for the guy. Like what if he has no idea. And there's everyone on this side of the building seeing him, ya know. One resident told the Herald more than 900 nearby workers may have been exposed to the bare bum. Wellingtonians took to Facebook to share their delight over the unfortunate moment. "Full moon still out at 9am?" one person wrote. Another said: "Hope he kept the receipt it's got a crack in it." While many saw the funny side, the person who posted the image said the aim was to warn others to be mindful that people may see you. This article originally appeared on The New Zealand Herald and is reproduced with permission.